Americans who want to stay in the U.S. when they retire have 50 states to choose from. That can be a tough decision, and it's not made any easier by studies offering different recommendations to pick this state or that one -- but never, ever that other one. Who has time to sort through all of that? You're busy saving for retirement! Lucky for you, we're here to help. We've taken three of the top studies of the best and worst states for retirement and have consolidated the rankings into one master list. We count down the 16 states on the bottom overall. You might think of them as the worst of the worst states for retirement. With no state sales or income tax and beautiful glacier views, Alaska packs plenty of retirement appeal — but the long, dark winter days and ravenous summer mosquitoes take some getting used to. Bankrate ranks Alaska in last place for weather and No. 49 for crime. The state's violent crime rate jumped 34% and the rate of property crime grew 22% from 2013 to 2017, Alaska's Department of Public Safety reported. Also, you'll pay more for most items if you retire to Alaska, because they'll need to be transported up north. Kiplinger says the cost of living in Alaska is 32% above the U.S. average. Locals have this advice for surving in Alaska: Buy the cheap, fresh Alaskan fish — and get some long johns. Imagine spectacular sunsets across wide open skies, warm weather, and the simple pleasures of chicken-fried steak and college football on Saturdays. Retiring in Oklahoma doesn’t sound so bad. The state also has a low cost of living, no tax on Social Security, and it allows you to exclude up to $10,000 of other retirement income from the state's income tax. The trade-off is that both Bankrate and Kiplinger put the state near the bottom for retiree health care. Kiplinger says smoking and physical inactivity are widespread among Oklahoma seniors, and that quality nursing homes are in short supply. To top it off, Oklahoma has some of the highest tornado odds per square mile in the U.S. In fact, one study found that central Oklahoma has the nation's highest probability of twisters. If you plan to buy retirement real estate here, you'll need good insurance. With a spectacular Pacific coastline, more than 500 local wineries and breweries, and fresh produce at your fingertips, Oregon offers a healthy and outdoorsy retirement lifestyle. But the cost of living is 18% above the U.S. average, Kiplinger says. In popular Portland, the median selling price for an existing single-family home at the end of 2018 was a steep $389,000, according to the National Association of Realtors. Think you'd rather rent? A report from the National Low Income Housing Coalition found people earning Oregon's average full-time wage can’t afford a one-bedroom apartment in the state. And despite a $1.9 billion injection of federal funds into Oregon's public health system in 2012, the state is still struggling to lower patients costs and provide better care. Heath care quality in Oregon is the ninth worst in the country, Bankrate says. Arkansas’ parks, lakes and warm summers might keep you active in your retirement — if the mosquitoes don’t devour you first! On the plus side, Arkansas is one of the states with the lowest living costs in the U.S. And, the typical price paid for an existing single-family home is below $150,000. Social Security isn’t taxed and $6,000 of other retirement income also is tax-exempt. But Kiplinger notes that more than 10% of Arkansas seniors live in poverty. And while health care can be inexpensive in Arkansas, Bankrate says the state is America's worst for health care quality. WalletHub ranks it No. 49 for the overall quality of life of seniors. The small northeastern state famous for its amazing autumn colors, fantastic farmers markets and spectacular skiing also has an infamous mud season, which will destroy your soul — and your car. 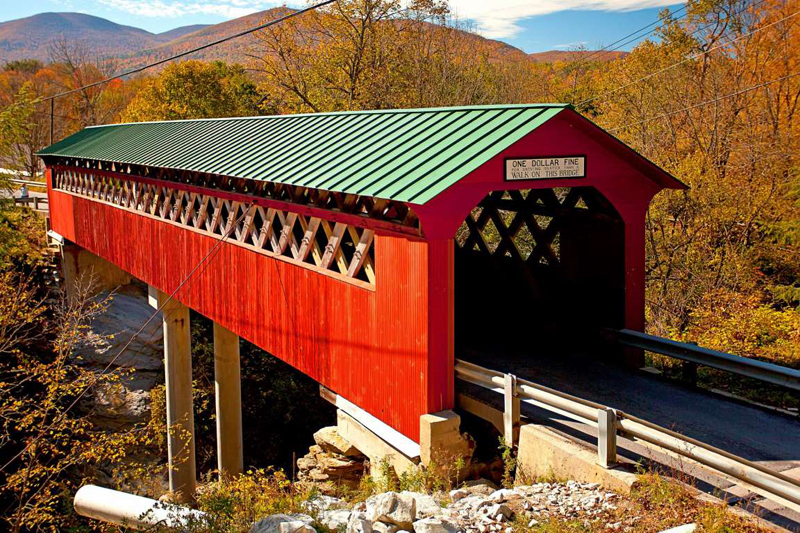 Vermont makes this list for reasons including the sky-high cost of living here. WalletHub found it's America's least affordable state, and Kiplinger says living costs are 12% above the national average. Vermont also levies some of the nation's harshest taxes on retirees. You’ll be taxed on Social Security benefits and most other retirement income if your income is above $45,000 as a single filer or more than $60,000 as a couple. If the prices and the taxes in Vermont make you sick, the plus side is that you can get excellent health care. Bankrate ranks the state No. 2 for health care quality. Kentucky is home to free-flowing bourbon and the spectacular Red River Gorge, and the state offers the annual pageantry and pulse-quickening excitement of the Kentucky Derby. The cost of living here is 14% below average, and Social Security benefits and up to $41,110 of retirement income aren’t taxed. But the good news ends there. Kentucky gets low marks for health care quality, and the government says while prices for Obamacare health insurance plans fell nationwide for 2019, premiums jumped 9% in Kentucky. Spending your retirement days exploring California’s beaches, vineyards and cities sounds nice — if you can afford it. For starters, the cost of living is a whopping 52% above the national average. California also taxes all retirement income outside of Social Security, and it's one of only two states (the other is New Jersey) that even tax contributions made to health savings accounts. Meanwhile, housing prices are astronomical: The statewide median home price topped $600,000 for the first time ever in May 2018, the California Association of Realtors reported. Perhaps unsurprisingly, a January 2019 survey by Edelman Intelligence found that 53% of California residents are thinking about leaving the state to escape the high costs. Chicago is Illinois’ cultural hotspot, but the state also has peaceful suburbs, a wine trail and beautiful lakes and cottages just right for retirees seeking to unwind. The state doesn’t tax Social Security, 401(k)s or IRAs, and it's fairly affordable. Living costs are 4% below the national average, Kiplinger says. So why is the Prairie State among the worst? Property taxes are nearly triple what you'd pay in next-door Indiana for a home of the same size. State and local sales taxes add as much as 11% to the cost of a purchase. State budget issues have left Illinois with some of the worst roads in the country — and if the notoriously wacky local drivers don’t kill you, the freezing, monthslong winter might just finish the job. West Virginia offers endless active outdoor pursuits, natural mineral springs and spas — and some of the lowest living costs and health care costs in the U.S. The trade-off comes at tax time. Social Security income gets taxed along with retirement income above $8,000 per year. Plus, while health care is affordable, West Virginia has some of the worst patient outcomes nationally. WalletHub ranks it the No. 49 state for health care, and Bankrate puts it at the very bottom for the overall well-being of seniors. Even sadder, the state’s dying coal industry and limited business opportunities mean entire towns and public infrastructure are literally crumbling into dust across the Mountain State. This New England state has been struggling with huge budget deficits, which have resulted in cuts to government services and Medicaid. WalletHub says Connecticut is the nation's third worst state for affordability, and Bankrate ranks it No. 44 for taxes. Seniors are taxed on their Social Security and other income, says Kiplinger, and residents pay the second-highest real estate taxes in the U.S. The economic negatives simply outweigh the positives for many. Younger generations and families are moving away from Connecticut in search of a better quality of life. It sounds like New Jersey's got everything you’d want for your retirement: beaches; greenery (it is the Garden State, after all! ); great shopping and restaurants; casinos and golf courses; and your pick of small towns, suburbs or cities to settle in. The main problem for retirees is that New Jersey is so expensive. It has the fifth-highest cost of living in the nation, and health care costs are exorbitant. Despite that, health care access is uneven and health care outcomes are not great. Homeowners pay America's highest property taxes and then have to contend with terrible traffic, serious urban crowding, harsh winters and the worst fiscal outlook in the nation. The Ocean State has more than 100 beaches and all the seafood and nightlife you could want in your retirement. Rhode Island also scores high for safety and culture. But move to this small state and you can expect to be looking at big price tags, because the cost of living is a stiff 22% above the U.S. average, Kiplinger says. Thanks to government bumbling, the state also has some of the highest electricity prices, worst road infrastructure and steepest taxes in the nation. Plus, medical costs can be downright painful. One former resident calls Rhode Island's living costs "insane" in a Reddit post, adds that "despite all the negatives, the state just oozes charm" — and then closes with: "I'd never, ever move back." The people in Louisiana are lovely, the food scene is fantastic, the music is amazing, and the natural surroundings are awe-inspiring. With a cost of living 10% below the national average, you might be tempted to move on in. While you won’t get frostbite here, you might just melt in the crushing humidity. And forget using Louisiana's famously cheap electricity to run your A/C, because electricity costs are going up and could rise 40% over the next decade. Sales taxes can be as high as 11.45%, the state's murder rate is the worst in the nation, and Louisiana scores low for health care quality. And don't forget the hurricanes. Social Security, retirement account distributions and pension payouts are all taxed by the state. While health care costs are in the bottom 20% nationally, health care outcomes also are in the lowest part of the stack. The state's poverty rate among seniors is the third highest in the nation, at 11.9%, Kiplinger says. And maybe Breaking Bad was onto something: New Mexico is the worst state for crime, says Bankrate. The Big Apple is glitzy, but you might enjoy settling in a charming suburb far north of New York City, near mountains, lakes and wineries. If you can afford it, that is. New York state is 22% above the average cost of living nationwide, Kiplinger says — and that's cheap compared to Brooklyn (82% above the norm) and Manhattan (a staggering 138.6% above). Bankrate ranks the Empire State No. 50 for affordability and No. 49 for taxes. And here's another reason to stay away in retirement: Nursing home costs throughout New York are among the highest in the country, according to Seniorliving.org. New York doesn't tax Social Security, and up to $20,000 in retirement income can be excluded from the state's income tax. But the tax breaks for retirees probably won't be enough to lighten the financial burden of living here. Maryland is steeped in history and culture; it offers great golfing, mountains, beaches; and you're never far from a major population center. So why is it the worst place for your retirement? First, your scenic drive to the beach might be ruined by some of the most congested roads in the country, or a surprise tornado, or a winter storm blasting in off the Atlantic. As a retirement destination, both Bankrate and Kiplinger rank Maryland the No. 48 state, and WalletHub ranks it No. 41 — adding up to our high score of 137 out of a possible 150. You could find your retirement savings demolished by the state's high cost of living (17% above average), its taxes on IRAs, and its above-average health care costs. "Retirees in Maryland are bound to be crabby," Kiplinger says — and it's no wonder.